In our today's edition of Callexa Feedback Integration series we want to introduce the service MemberSpace closer. Create your online course, training program, or other business idea inside your existing Squarespace website - no need to build on someone else's platform! Choose which pages and content to protect. Charge for access to your protected pages and content. Visitors must sign up or log in before viewing your protected pages and content. Your members can edit their email, update their credit card, view billing history, cancel their subscription, and more. When someone tries to sign up but doesn't submit payment, we'll automatically follow up with them on your behalf. You and your members can access your full billing history and even download PDF invoices whenever you want. 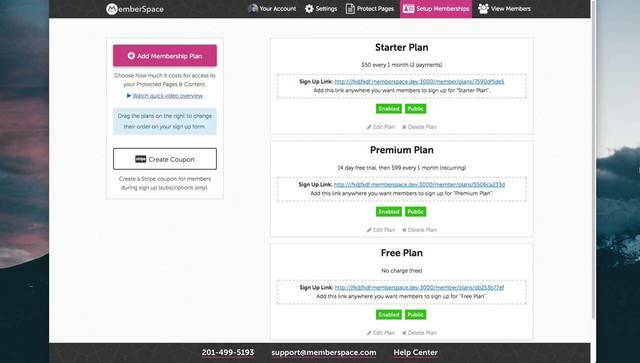 You can add your MemberSpace functionality to as many Squarespace sites as you want with no extra charge! With Zapier, the integration of Callexa Feedback into MemberSpace can be done easily. With Zapier you can create custom integrations, automate tasks between hundreds of web applications and connect apps to safely move data from A to B. Zapier makes software integration easy. For everyone. With Zapier you can connect your application or software with hundreds of different web services in just a few minutes. With the integration via Zapier it's possible to transfer all your MemberSpace clients to Callexa Feedback and survey them automatically. Following the successful survey, customer satisfaction is determined and evaluated with the help of NPS. After the customer has given his feedback you can publish it quickly and easily on your website to convince new customers of your service. You can find the Callexa Feedback NPS App for Zapier / MemberSpace here. Callexa Feedback - Spring cleaning and optimization of the features. I allow the processing of my personal data according to the privacy regulations.